Red Zone is Final Round’s unique High Intensity Interval Training Program (HIIT for short). HIIT typically involves a period of intense exercise alternated with a shorter period of low-intensity exercise for recovery. Most experts say it is the most time efficient way to exercise. High-intensity intervals can produce similar fat loss to traditional endurance exercise, even with a much smaller time commitment. They can also reduce unhealthy visceral fat. Final Round’s Red Zone class is 30 minutes long and despite how short the workout may sound, it has been proven to produce health benefits similar to a moderate workout that is twice as long. Our Red Zone class is named after the use of our MyZone heart rate monitor which you will receive upon signing up with us. The purpose of the class is to keep you in the “red zone” where the target heart rate zone is 90 to 100% of your maximum heart rate. Our class is a mix of boxing, MMA, calisthenics, core, speed, agility and functional movements and helps you burn more calories than traditional exercise in a shorter period of time. Due to the intensity of the workout, not only will you build lean muscle, Red Zone can elevate your metabolism for hours after exercise. This will result in additional calories being burned even after you have finished exercising! Our classes are designed for all fitness levels. All exercises can be modified to be made easier or harder based on your fitness level. You’ve never tried a HIIT class like this before! 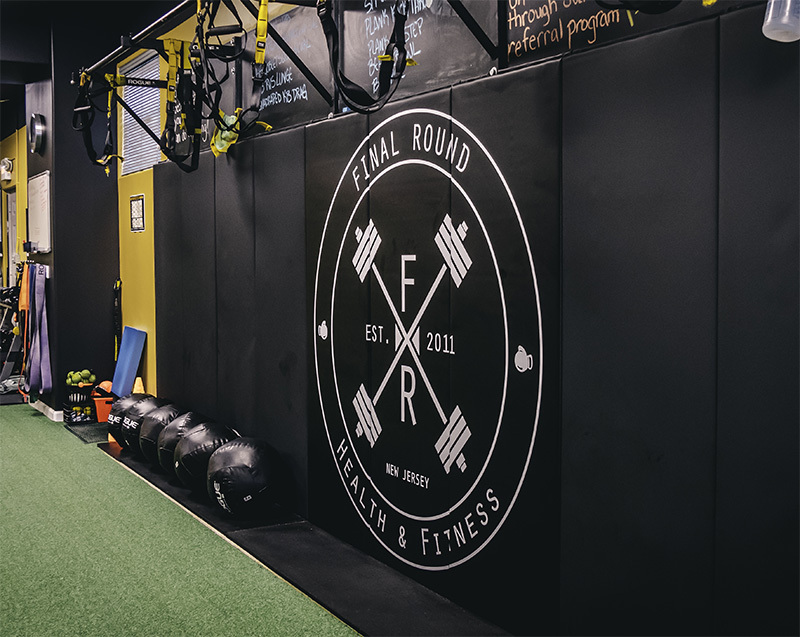 At Final Round we don’t just want you to get results, we want fitness to become a part of your everyday life, which is why we offer a functional training class. The purpose of functional fitness training is to improve your ability to perform your everyday activities. You use basic functional movement patterns like pushing, pulling, squatting, rotating, carrying, walking and running every single day. Functional training utilizes exercises that improve your movement proficiency in these primary patterns to give you an edge so you can achieve your goals safely and with good health. Our class will help you move better, train longer, and live healthier so let’s start preparing your body now. Our functional training class utilizes, dumbbells, kettlebells, suspension training and calisthenics movements to help build lean muscle, gain strength, increase your overall stability and mobility you need to thrive in everyday life. Our personal training program is designed to provide our clients with individualized fitness programs to help you achieve your goals. You will work with on of our experienced and certified trainers specializing in various areas including but not limited too boxing, sports conditioning, body building, functional, sports massage, weight loss and much more. Each training program is customized to help all of our clients reach there own personal health and fitness goals. Whether you’re just starting your fitness journey or are an athlete who wants to reach the next level our trainers will be there to guide you every step of the way with our very high level of attention and expertise. Our small group program is designed to give you all of the benefits and results of personal training, at a more affordable cost. With over 20 years of combined personal training experience, our instructors Gary & Peterson have designed a program based on what’s been proven to get the best results for their clients. This is a weight training program that incorporates a mix of functional training, bodybuilding and powerlifting to help burn fat and build lean muscle & core strength. No more than 5 people are allowed in each class, which ensures safety and more personal attention. This allows the trainer to work with each person individually in class and provide modifications when needed. AH the Sweet Science! Unlike most “cardio boxing” gyms, we pride ourselves at making sure everyone doesn’t just get a good workout, but learns the sport as well. This class is designed to introduce fundamental drills, basic offensive and defensive footwork and movement, and proper punching technique all while burning fat, increasing overall coordination and balance, building lean muscle and relieving stress. Fighters are some of the best athletes in the world. Here at Final Round you get the same type of training they do, but without the contact. From beginners to well rounded athletes, our method of teaching the sweet science has proven to show results time and time again. Our attention to detail, ability to correct and improve technique is better than any personal training and general fitness studios in the area. The limited class size allows our skilled and experienced professional trainers to offer more one-on-one attention focused on ensuring your form is safe and correct. You’ll burn calories FAST as well as increase your cardiovascular health, and relieve all the stress from the workday. You don’t have to be a fighter to train and look like one. Our kids boxing classes are a great way to introduce your child to a different approach to physical fitness. The class consist of physical exercise using only their on body weight to help kids start getting into fitness as well as teach them the importance of being physically active. All in a positive and supportive environment. We also teach basic boxing skills and techniques such as stance, rhythm, movement and proper punching technique. It increases strength, improves endurance and helps kids better their coordination. Kids boxing class will include cardio, calisthenics, shadow boxing, bag work, partner drills, pad work and core strengthening exercises. Classes are 30 minutes long. Pilates is a low impact, total body conditioning class that utilizes bodyweight as the main force of resistance while focusing on glute and abdominal strength. This low weight, high rep format is designed for muscular endurance, muscle symmetry, and emphasis on breathing techniques. We believe that every exercise practitioner should be able to lift their own bodyweight before adding artificial weights. Pilates is commonly practiced by dancers to give them the superior core-strength and flexibility necessary to perform. Pilates focuses on target angles to hit even the smallest muscle groups that are often overlooked in conventional weightlifting to provide elongated and toned muscles. We use a variety of props such as BOSU, ankle weights, and resistance bands. Yes, we offer personal training for kids as young as 7, as long as they can concentrate and follow instructions. We have group classes for teens between 12-16 years old. We offer post rehab training. We can also modify our class training to accommodate anyone recovering from an injury. Yes you can, however only for large group classes. Yes. We have a 6 pace parking lot which is only used for the gym as well as street parking on both side of the street. No, We have glove you can borrow for your first time in the gym, however we do do require you either purchase your own gloves from us or anywhere else after your first visit. This is for safety and hygiene. I’ve never done boxing before, can I still join? Absolutely! About 80% of our clientele have never done any boxing previously before joining. 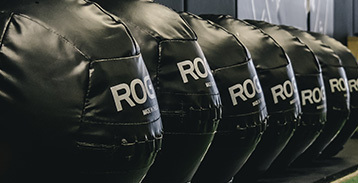 Our programs are designed for both beginners and advanced in fitness and boxing. I don’t want to get any bigger, should I still lift? Yes! Weight training is one of the best ways to lose body fat. Our programs our designed to help build lean muscle and burn fat. We do not focus on building muscle for mass, we focus more on burning fat and building strength. Just ask any of our lady’s in the gym.